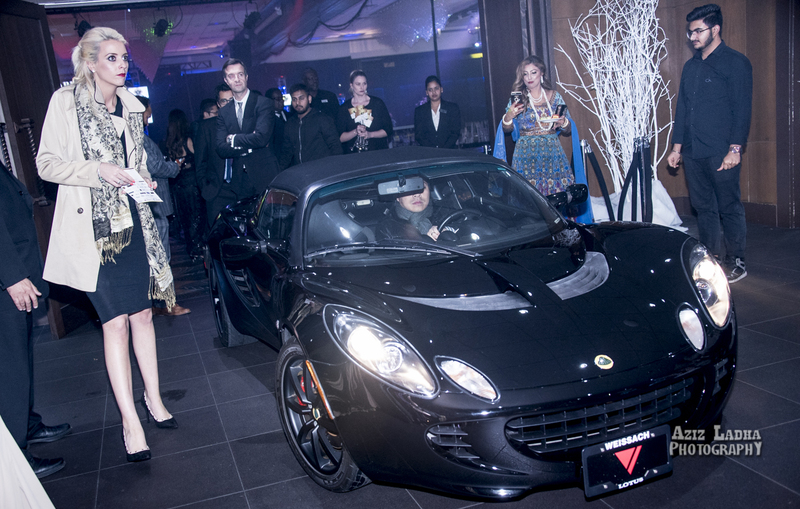 The luxurious entrance embraced by Lamborghinis gave an upscale and top-notch feeling to the gala. Guests were also greeted by Champagne at the entrance. 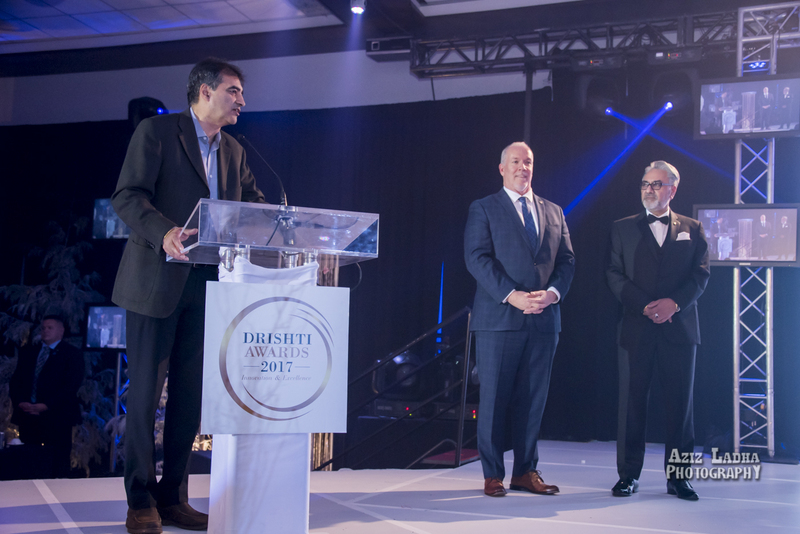 DRISHTI Magazine celebrated seven years in publishing the power of Innovation and Excellence and hosted its third annual DRISHTI awards gala on Friday, November 17, 2017, at the stunning and tastefully decorated Aria Convention Centre, Surrey, attended by more than 700 guests. 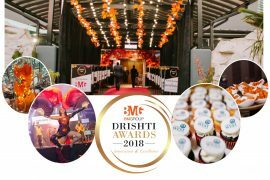 DRISHTI Awards Gala Night was a splendid and enduring moment filled with excitement, appreciation, and entertainment. 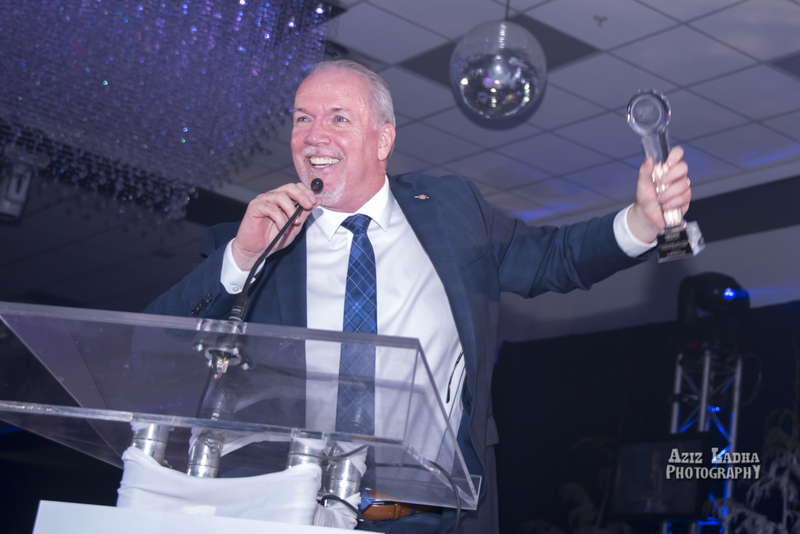 Every component of the gala night, starting from the dazzling red carpet entrance to the ballroom, captivated the guests and made it one of the best events in Canada. The accessible entrance embraced by Lamborghinis, gave an upscale and top-notch feeling to the gala. Champagne also greeted guests at the gate. The stunning cocktail reception sponsored by An Elegant Touch of Home Staging and Design gave the enormous opportunity to the guests to rub their elbows and enjoy the hospitality. The exclusive Ice Sculpture in the cocktail lounge was an incredible attraction. 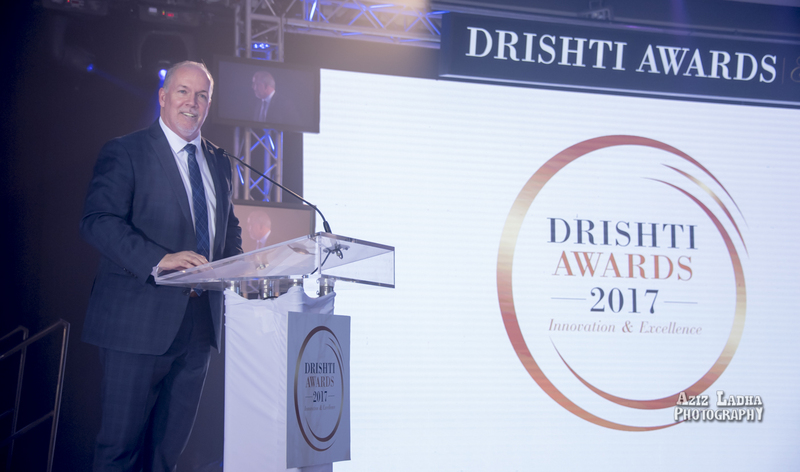 The Drishti Awards acknowledged the most successful community members: business leaders, philanthropists, community activists, artists, health care innovators, young professionals, athletes, and organizations for bringing their extensive expertise in building a strong and diverse community. 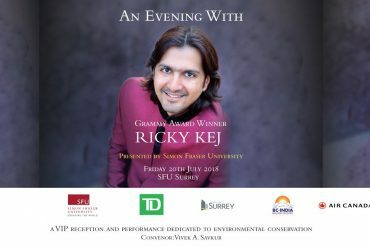 The evening began with the dazzling and fusion performance by world-renowned Shiamak dancers who captivated the audiences’ visual and auditory senses with their collaborated performances with Aerialist fire dancers and Violinist. 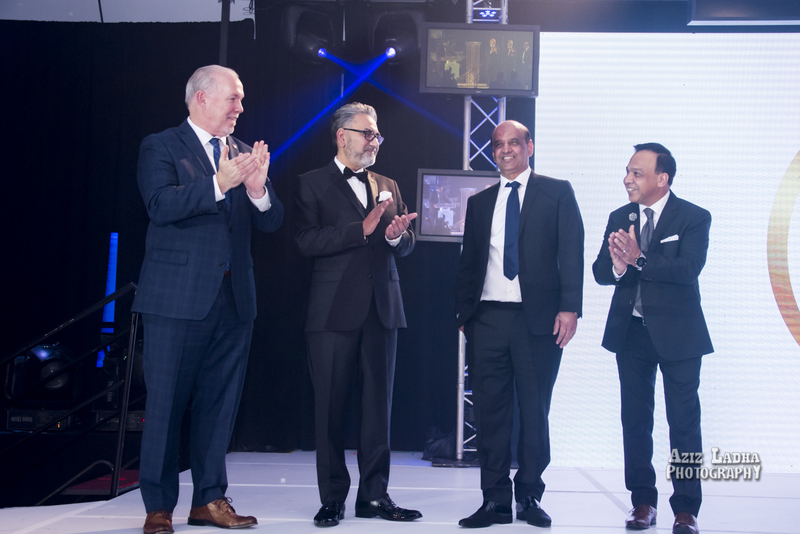 Our Emcees, Bell Media’s Nira Arora and Joy TV’s Dean Atwal, kept the proceedings moving with their witty banter and interactions with guests and honorees. 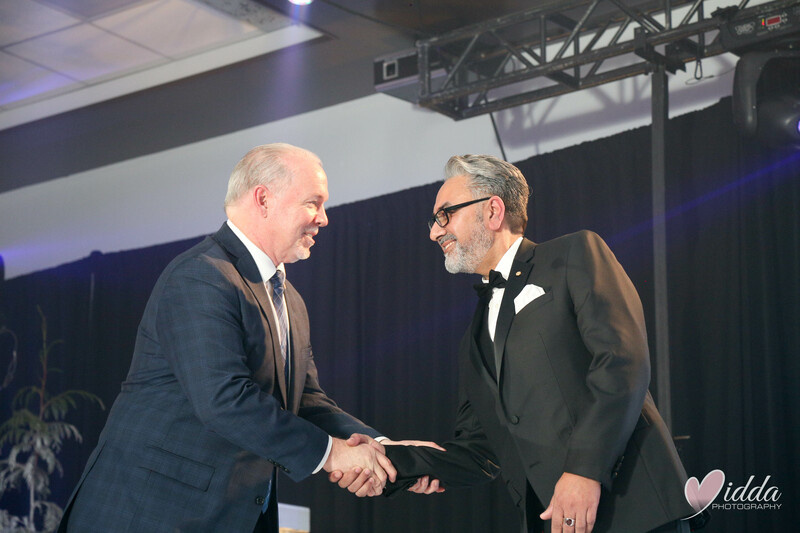 The Guest of Honor for the evening was the Honorable Premier of British Columbia John Horgan, introduced by former NDP minister, Moe Sahota. 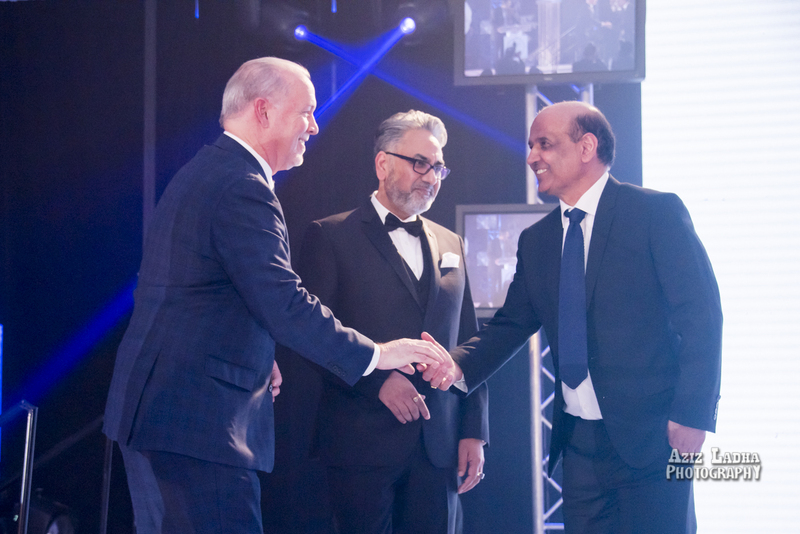 Premier was acknowledged for his dedicated service to our province and was presented a trophy by Perminder Chohan of DFSIN, Daljit Thind, CEO Thind Properties and Nawal Tandon, Publisher of Drishti Magazine. The keynote speaker was Andrew Petter, President of Simon Fraser University. 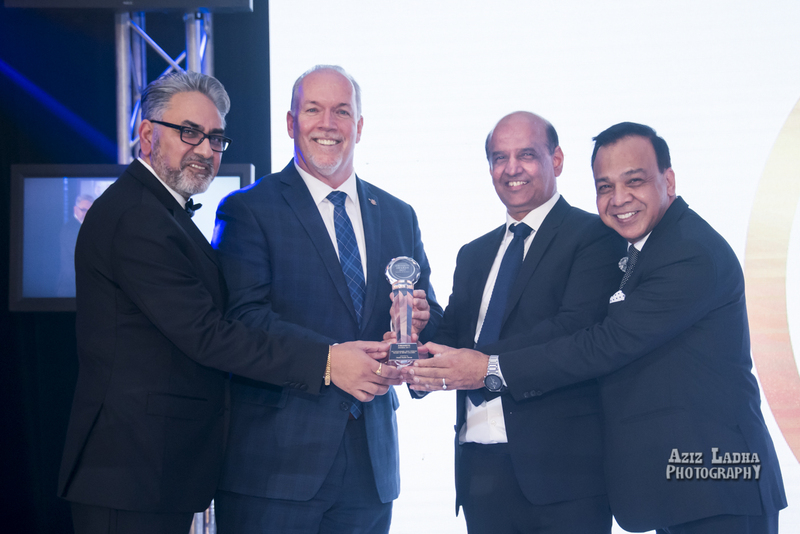 There was a special recognition of Simon Fraser University as Canada’s most engaged university for their contribution to the social, economic, environmental, and cultural well-being of the communities they serve. 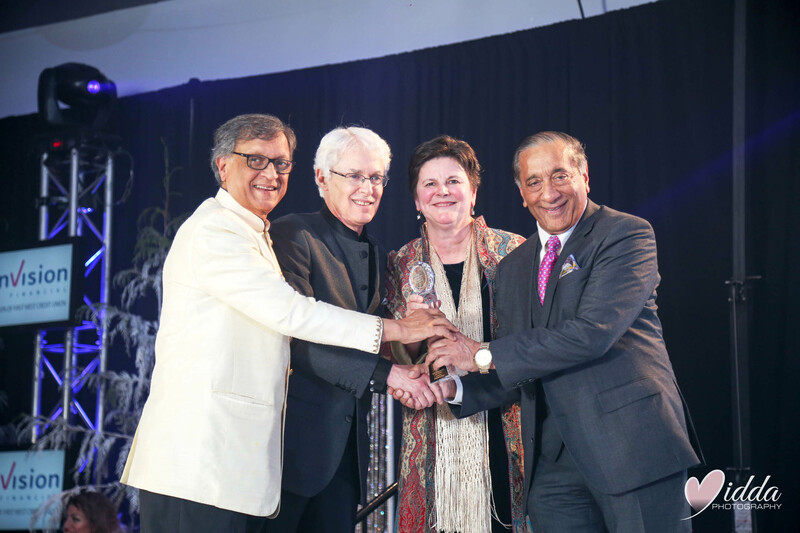 SFU President Andrew Petter and Vice President Joanne Curry received their well-deserved award from Former MLA and Judge Wally Oppal and the accomplished Dr. Arun Garg. 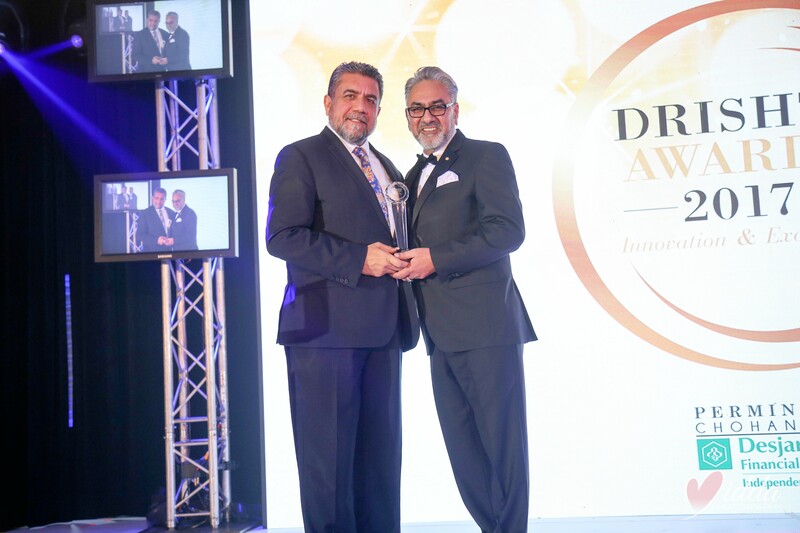 Drishti’s prestigious 2017 Spirit of Generosity of the Year was awarded to Perminder Chohan Managing Director of DFSIN–Richmond South, who received the trophy from Sukh Dhaliwal, Member of Parliament. 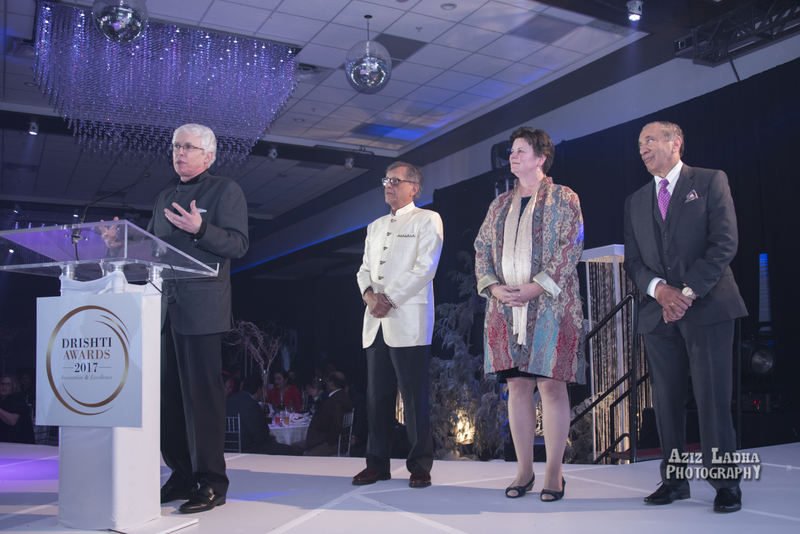 The packed audience featured such dignitaries as Members of Parliament Sukh Dhaliwal, Ministers Bruce Ralston, Harry Bains, Jinny Sims, Members of the Legislative Assembly Jagrup Brar, Raj Chohan and his wife, Rachna Singh, and Consul General of India Abhilasha Joshi, and Consul Amar Jit Singh. The audience also had the opportunity to witness one of the most talented fashion designers in the world—Parvesh Jai showcasing many elegant designs for men andwomen. Hair and make-up were done by Blue Ruby Artistry. Dessert Sponsor of the evening was Goyal Group, and they provide different styles and flavors and designs of cakes from Just Cakes Bakeshop with their well-designed and unique cake that tasted incredibly delicious. 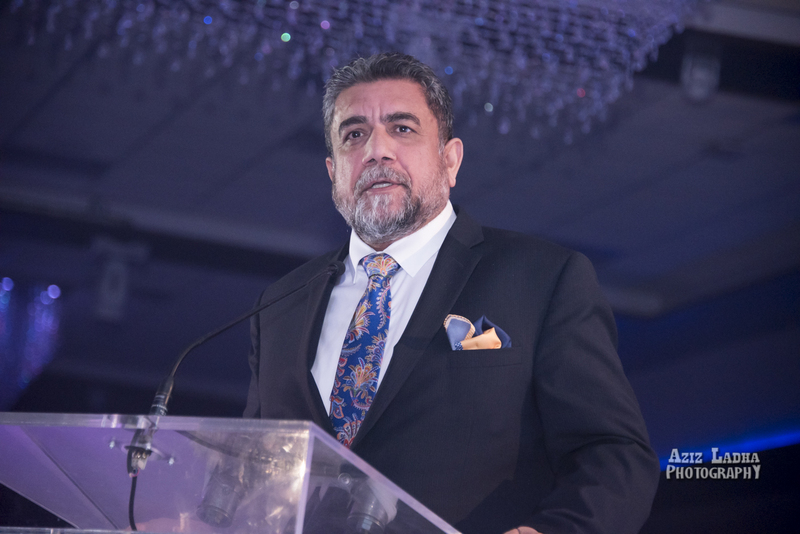 A massive shout out to our Gala sponsors, whose generosity made it once again possible for Drishti magazine of its annual awards Gala for the 3rd year! 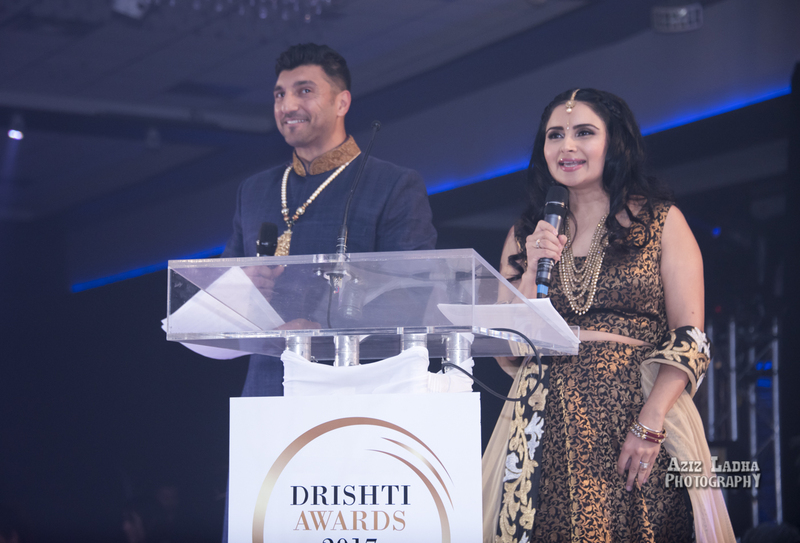 The Title sponsor for the third annual DRISHTI Awards was Perminder Chohan of DFSIN. 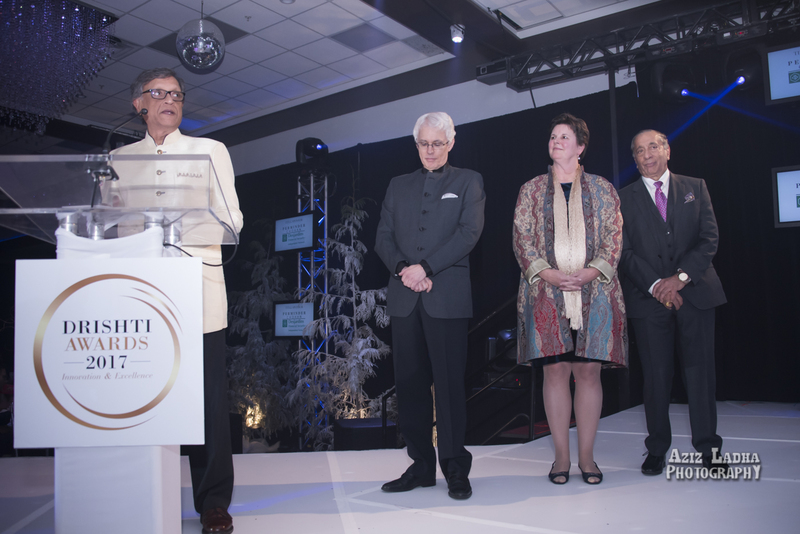 Sponsors for this year’s gala included Envision Financial, Thind Properties, Natu’Oil Services, Lamborghini, An Elegant Touch Home Staging and Design, Bharat Jewellers, Square Nine Developments, Goyal Group, Arsh Samra Law, Kraft Mortgages, Olive Fertility, Fasken Martineau, Terra West Group, Can-West Developments, Golden Tree Jewellers, Wireless World, Teja Foods, Essex Collision Services, CINS, Blue Ruby Artistry, Tattoos for Now, Purdys’ Chocolatier, Just Cakes Bakeshop, Jassal Signs, A-1 Sports, Charton Hobbs, Airland Luxury Mattresses, Tags Outlet and Zee TV Canada. 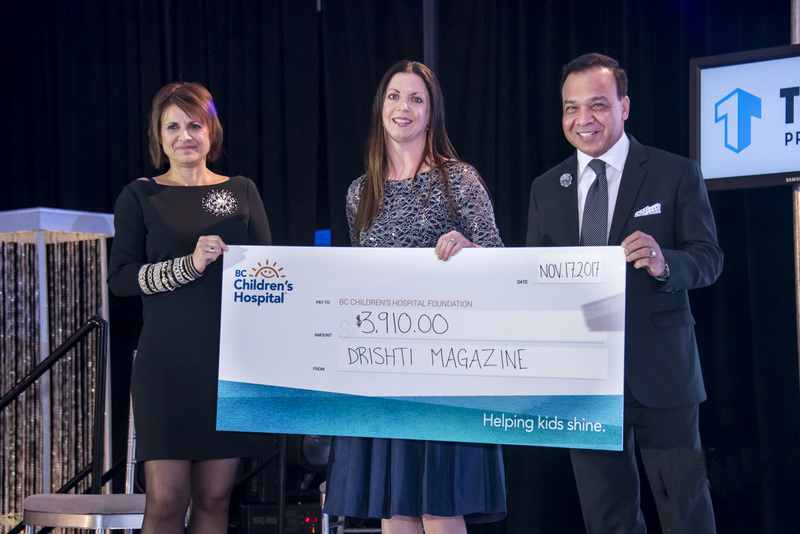 Thanks to the support of our table sponsors, those individuals and businesses who donated to the raffle draw organized by Tanya and her team from BC Children’s Hospital Foundation and those who attended of this year’s another spectacular event!